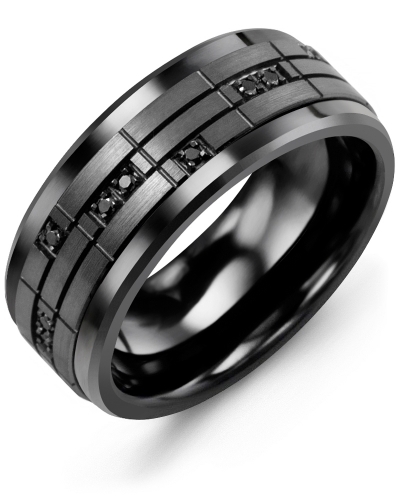 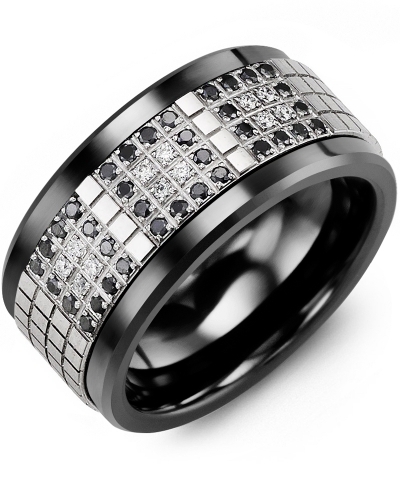 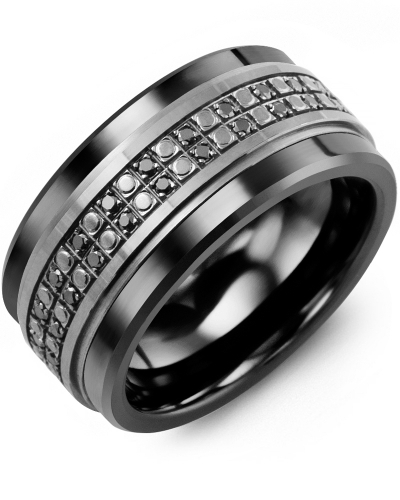 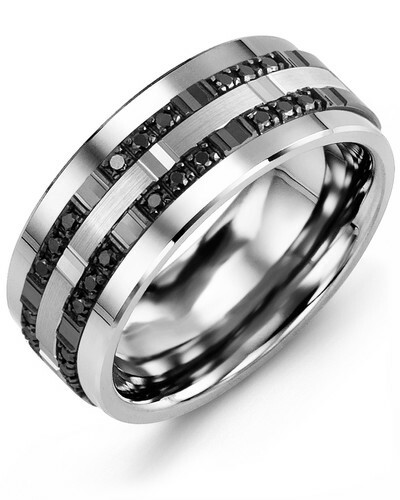 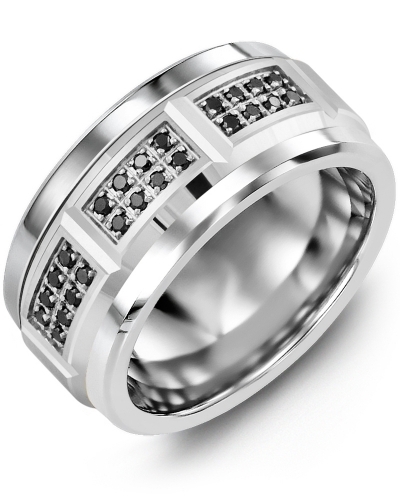 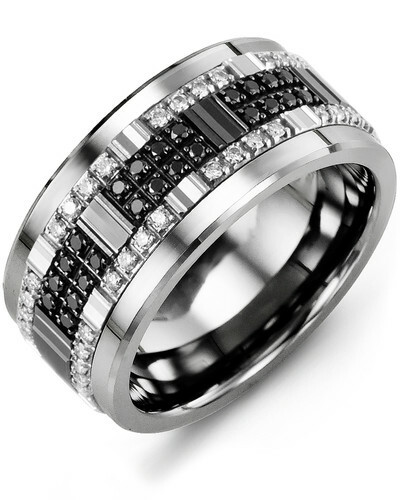 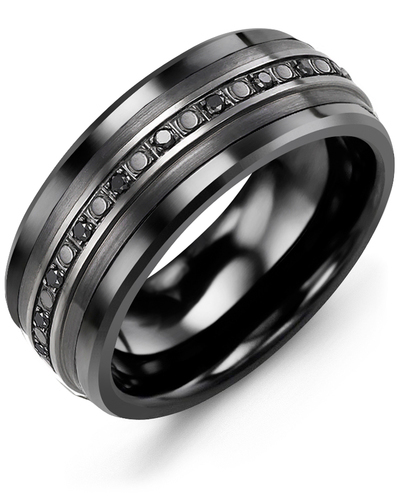 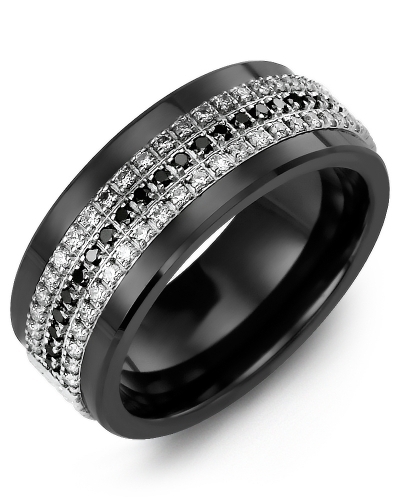 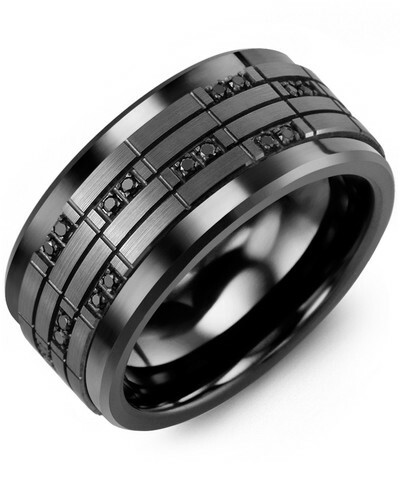 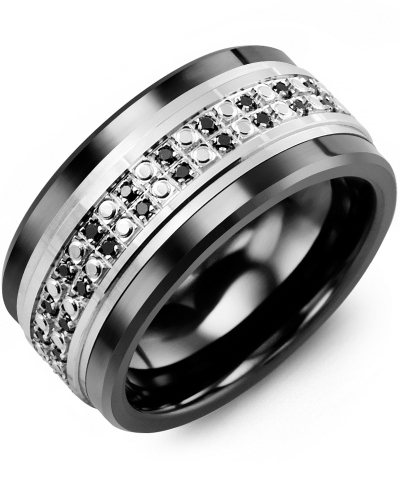 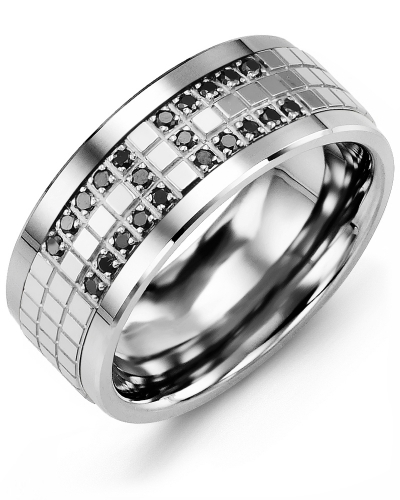 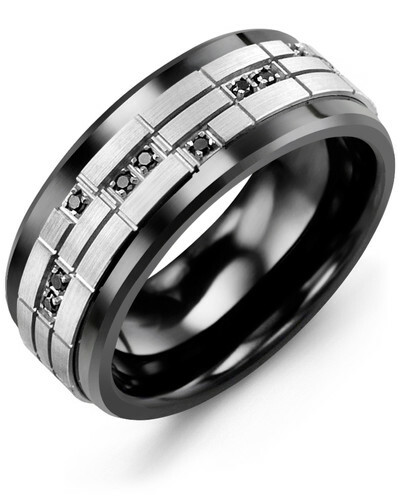 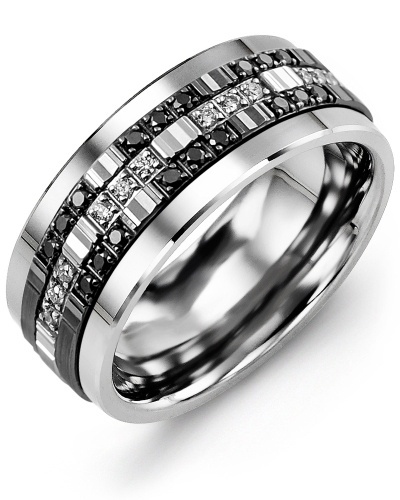 MJE - White and Black Gold Diamond Men's Ring This statement piece of jewelery is a must-have for the style conscious man. 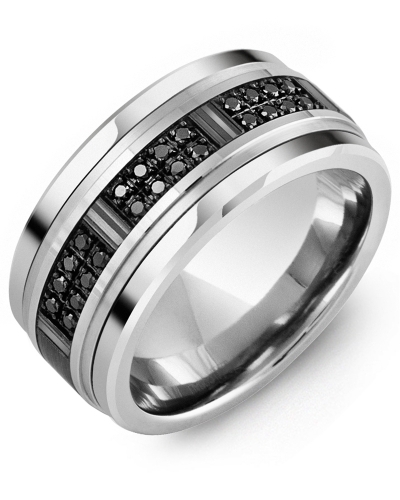 Crafted from cobalt ring, ceramic ring, or tungsten ring, with two layers of inserts, one white gold and one black gold, this 11mm ring contains 24 light-catching diamonds. 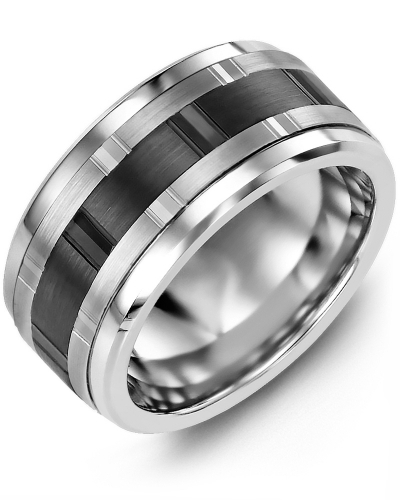 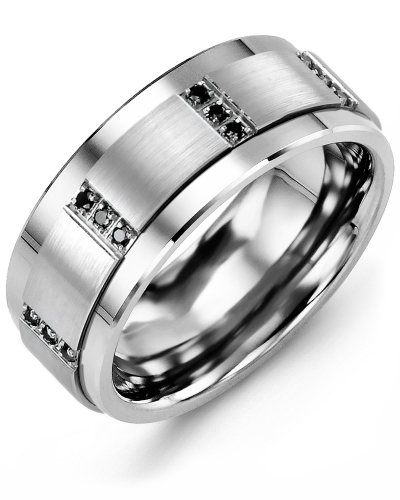 With a total carat weight of 0.24ct, this men's ring is the ultimate in wedding bands. 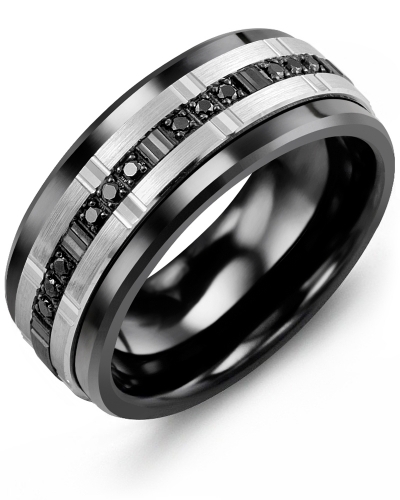 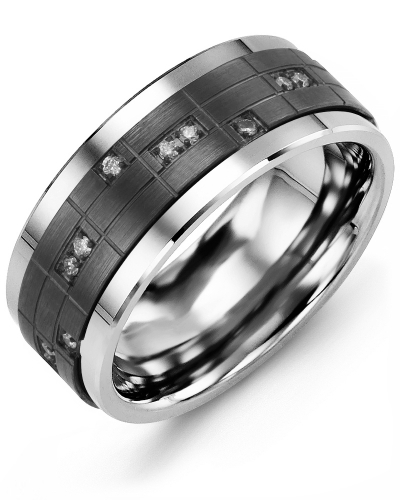 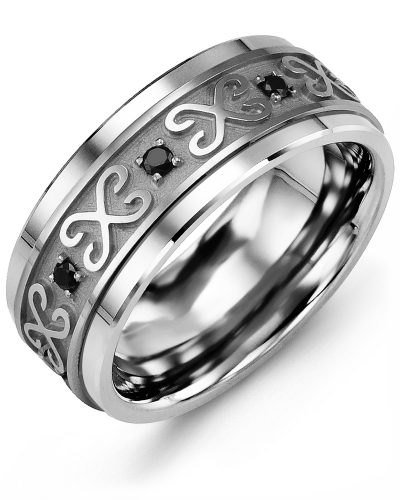 The white and black gold insert is available in 10kt, 14kt and 18kt options. 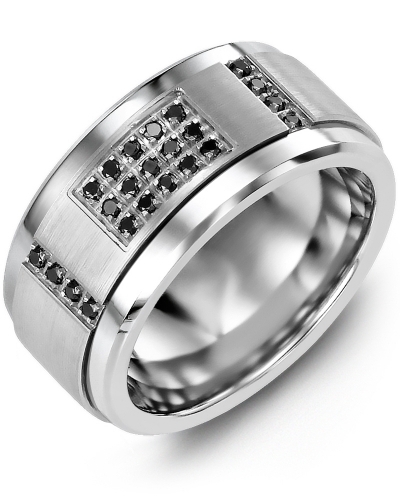 This statement piece of jewelery is a must-have for the style conscious man. Crafted from cobalt ring, ceramic ring, or tungsten ring, with two layers of inserts, one white gold and one black gold, this 11mm ring contains 24 light-catching diamonds. 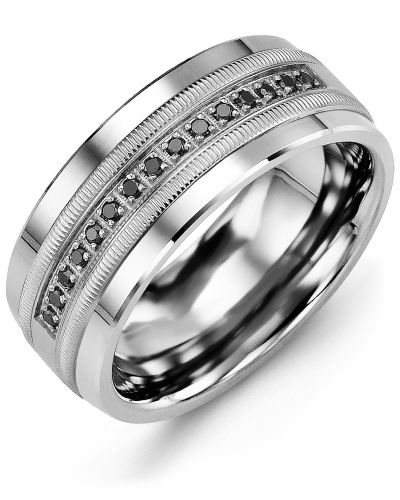 With a total carat weight of 0.24ct, this men's ring is the ultimate in wedding bands. 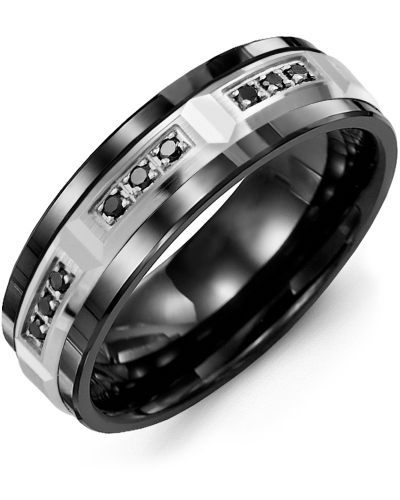 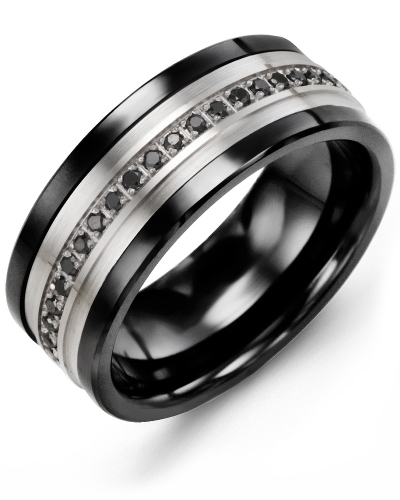 The white and black gold insert is available in 10kt, 14kt and 18kt options.